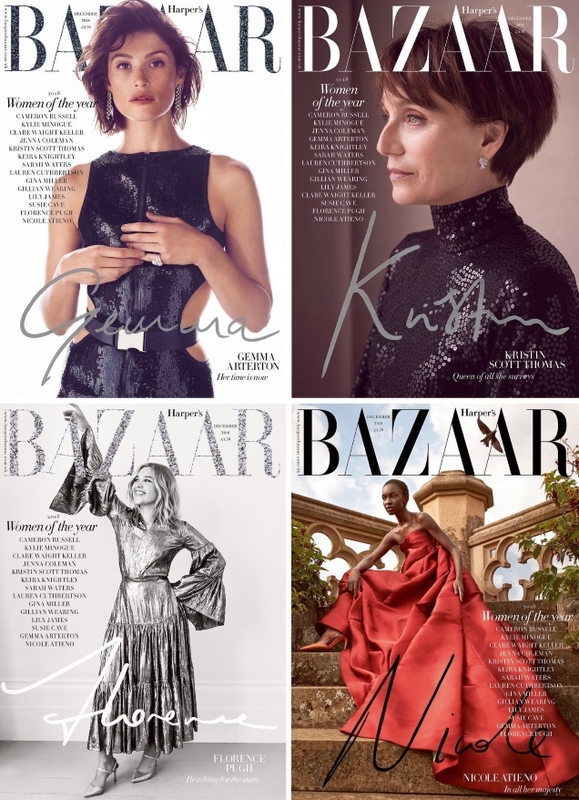 The British edition of Harper’s Bazaar has been pretty good to us throughout 2018. It gave us a gorgeous and classic Michelle Williams cover in January, nailed British summertime with Lily James, did diversity without the unnecessary labels for May, shocked us with a Serena Williams offering during the summer and gave us a radiant Ashley Graham for August. Recent issues included a glamorous return from Cate Blanchett and a stunning Maartje Verhoef cover for November. Now, the magazine’s annual “Women of the Year” issue is here for December 2018 with a total of five covers starring Keira Knightley, Gemma Arterton, Kristin Scott Thomas, Florence Pugh and Nicole Atieno. Our forum members were quick to weigh in on their favorites. “Always a pleasure to see Keira, I’m a fan of the cover,” admired dodencebt the moment the cover struck. 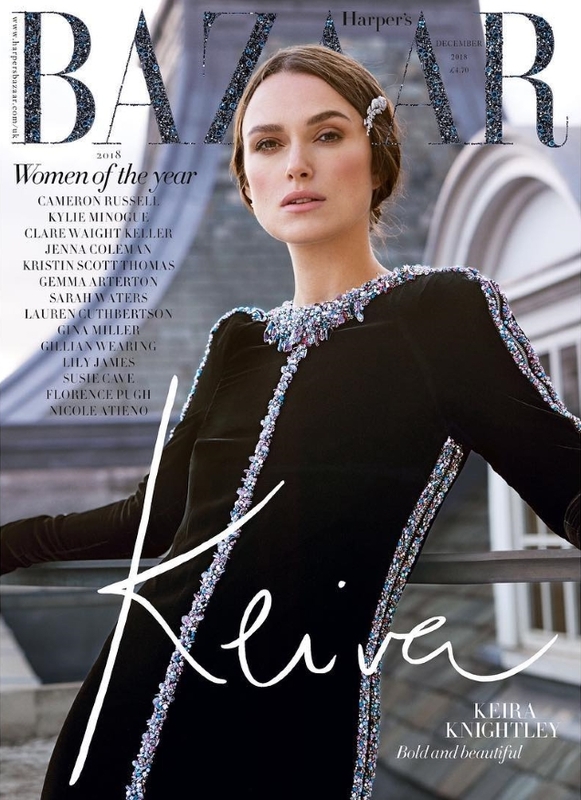 “Nice to see Keira, she’s certainly a good fit with UK Bazaar – but that masthead would need to be glittery, because the image itself is quite sombre, as if she’s got a new role as a schoolteacher that wears a lot of Chanel,” commented tigerrouge. “I prefer Gemma’s cover. It looks like something from the Lucy Yeoman’s era,” said A.D.C. “I really like this, so nice to Gemma here. She looks beautiful. I’ve always had a soft spot for Keira, so nice to see her here too,” honeycombchild chimed in. “Decent covers but Keira’s is pretty damn good,” favored SLFC. “Always a pleasure to see Keira on magazines! This is not her best work but still, it’s nice to see her. She photographs beautifully,” wrote fluxxx. Which cover gets your vote? Share your thoughts and check out what the issue has to offer here.